This post examines an opinion a federal district court judge recently issued in a civil case: Miss Universe, LLP v. Monnin, 2013 WL 3328241 (U.S. District Court for the Southern District of New York 2013). The judge begins by noting that the case involves a “dispute” between Sheena Monnin, “the former Miss Pennsylvania USA,” and “Miss Universe L.P., LLLP (MUO), which organizes and runs the Miss USA Pageant together with one of its equity owners, Donald Trump.” Miss Universe, LLP v. Monnin, supra. As to how the dispute arose and what it involved, the opinion notes that on December 4, 2012, Monnin was “crowned Miss Pennsylvania USA 2012”, after which she met with Randy Sanders, “owner of Sanders & Associates, Inc., which owns the franchise for the Miss Pennsylvania USA Pageant.” Miss Universe, LLP v. Monnin, supra. He gave her three contracts, “including one between Monnin and MUO.” Miss Universe, LLP v. Monnin, supra. Monnin signed all three, and was given copies of each. Miss Universe, LLP v. Monnin, supra. She later said they were “`long, single spaced, extremely dense, and full of legal terms [she] did not understand.’” Miss Universe, LLP v. Monnin, supra. telecast for the Miss USA Pageant began on June 3, 2012, with fifty-one contestants onstage. The field . . . was quickly limited to the top 16 contestants, based upon scoring from a prior, preliminary round. During a commercial break, the women who did not advance, Monnin among them, were dismissed. . . . While waiting in the wings before returning to the dressing rooms, Monnin claims Miss Florida USA, Karina Brez, intimated that the results . . . were predetermined, stating: `I know who is going to be in the top 5.’ . . . Monnin contends Brez [said] she had seen a `paper in a notebook in the back of the stage entitled ‘final show telecast’ earlier in that day,’ in which the top 5 contestants were already listed, despite the fact that the competition had not yet proceeded to the finals. Miss Universe, LLP v. Monnin, supra. `went on a veritable media frenzy,’ with Trump stating on Good Morning America that Monnin suffered `loser's remorse,’ and MUO's counsel threatening legal action. . . . Trump also appeared on the Today Show, where he called Monnin's allegations `disgraceful,’ and noted Brez denied she had seriously contended the show was `fixed’. . . . Brez appeared on E! and confirmed Trump's account, explaining that she was only joking . . . and adding that the eventual winner, Olivia Culpo, was not on that list, and as such, the Pageant could not have been rigged. posts . . ., explaining in detail her conversation with Miss Florida. . . . In response to Curry's statement that Brez. . . had since clarified her statements, Monnin explained that `many years of psychological training’ had enabled her to discern when an individual was being truthful. . . . Monnin reiterated she was sure . . . Miss Florida had been honest when she [said] the results of the contest were predetermined. . . .
Miss Universe, LLP v. Monnin, supra. You can read more about the events in this case in the news story you can find here. Since Monnin’s contract with MUO required that controversies between the two first go to mediation and, if that failed, go to binding arbitration, Monnin and MUP proceeded with that. Miss Universe, LLP v. Monnin, supra. The claim MUO submitted to the arbitrator sought damages of $10 million for “defamation, tortious interference with prospective economic advantage and breach of contract.” Miss Universe, LLP v. Monnin, supra. Neither Monnin nor her lawyer appeared at the arbitration hearing that was held on November 5, 2012; Monnin’s attorney apparently did not tell her about the hearing. Miss Universe, LLP v. Monnin, supra. MUO presented evidence and witnesses in support of its claim. Miss Universe, LLP v. Monnin, supra. On December 10, 2012, Arbitrator Theodore Katz issued his award, in which he reviewed the facts outlined above and other relevant facts and found that Miss Florida “clarified her statements” about the Miss USA Pageant, despite which Monnin “repeated her allegations concerning the Pageant during her Today Show interview.” Miss Universe, LLP v. Monnin, supra. He also found that in the period leading up to the 2012 Pageant, MOU had been “`planning to stage its 2013 Pageant on the Gulf Coast’” and “engaged in significant discussions with BP as a potential corporate sponsor, `who was prepared to pay a $5 million site fee to MUO, as a means of burnishing its corporate image’”. Miss Universe, LLP v. Monnin, supra. In the “wake of Monnin’s comments,” MOU resumed discussions with BP but after BP asked about “`rigging’” in the pageant and expressed other concerns, it abandoned “`the proposed sponsorship.’” Miss Universe, LLP v. Monnin, supra. MOU “`hastily’” arranged to stage the 2013 Pageant in Las Vegas, “`where it did not receive a site fee.’” Miss Universe, LLP v. Monnin, supra. defamatory statements about MUO on Facebook and on the Today show. . . that . . . were factual, capable of proof, false, and `obviously harmful to MUO's business reputation.’ . . . [H]e concluded that Monnin made the statements with `actual malice.’ [He] found no breach of contract, as Monnin had already resigned by the time she published the June 5 Facebook statement and engaged in the Ann Curry interview. Regarding damages, Katz found MUO proved it lost $5 million in the form of the BP site fee. . . He denied MUO's claims for additional damages. . . .
After some other procedural maneuvers, Monnin filed a motion to vacate the arbitration award, which is what this judge is ruling on. Miss Universe, LLP v. Monnin, supra. 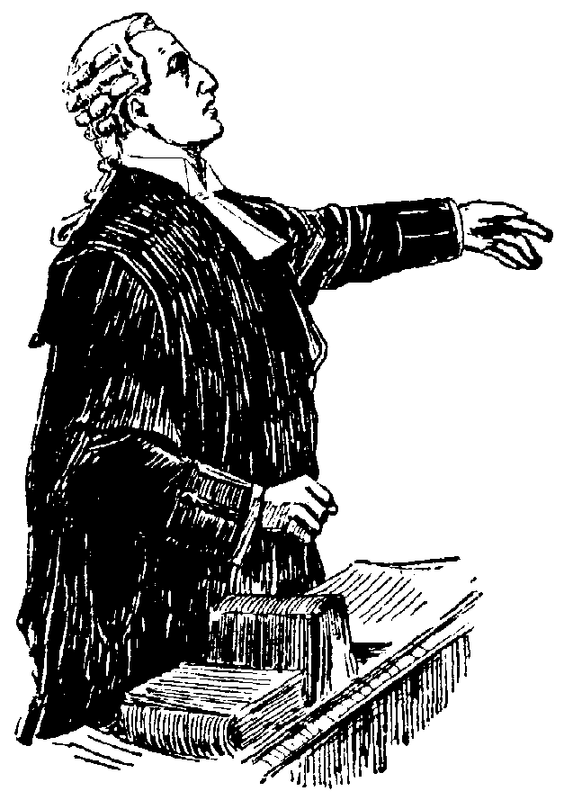 He began is analysis of her arguments by noting that under 9 U.S. Code §10(a), a court can only vacate such an award if (i) it was procured by fraud, (ii) there was evident partiality on the part of the arbitrator, (iii) the arbitrator was guilty of misconduct for not hearing relevant evidence, refusing to postpone a hearing or “other misbehavior” that prejudiced one of the parties or (iv) the arbitrator “so exceeded” his powers that a valid award was not entered. Miss Universe, LLP v. Monnin, supra. Monnin said the award should be vacated because Katz exceeded his powers and/or she was not given notice of the arbitration hearing and so was unable to attend, which prejudiced her. Miss Universe, LLP v. Monnin, supra. As to the first issue, she argued the Today show interview was not included in MUO’s statement of its claim against her, and so was not properly submitted for arbitration. Miss Universe, LLP v. Monnin, supra. Miss Universe, LLP v. Monnin, supra. He therefore found that the Today show statements “can reasonably be considered as within” the scope of the statement of claim in the arbitration proceeding. Miss Universe, LLP v. Monnin, supra. He noted that even if MUO’s statement of claim was “considered too vague” to include the Today Show comments, they were “directly submitted” to Katz in MUO’s brief submitted prior to the hearing and at the hearing itself. Miss Universe, LLP v. Monnin, supra. “Accordingly, Monnin's statements during the Today Show were highlighted in the pre-hearing brief as a basis for defamation liability, and it could thus have come as no surprise that the statements were later considered by Arbitrator Katz in making his eventual determination.” Miss Universe, LLP v. Monnin, supra. As to Monnin’s claim that she never received notice of the arbitration hearing which made the hearing unfair, the judge found, first, that when she signed the contract with MUO after becoming Miss Pennsylvania USA, she initialed each page of the contract, “including the page containing the arbitration clause,” and signed it, which certified that she had read it. Miss Universe, LLP v. Monnin, supra. He also noted that she did not “seriously contend” she was not bound by the contract’s requirement that she submit to arbitration and so moved on to the other issue. Miss Universe, LLP v. Monnin, supra. As to the notice issue, he pointed out that MUO consistently communicated, by email, Fed Ex and hand-delivered documents, with Monnin about filings and other proceedings in the arbitration process from the time it began. Miss Universe, LLP v. Monnin, supra. He also noted that essentially from the beginning of the arbitration process, her attorney insisted she was “`not subject to the terms of the “Official Entry Form/Contract” for the 2012 Miss USA Pageant,’ and . . . would `not be participating in . . . arbitration.’” Miss Universe, LLP v. Monnin, supra. On August 29, 2012, her attorney was notified about an upcoming conference call as part of the arbitration; he responded by sending a letter and “copying Monnin” on it, in which he said that neither he nor Monnin would participate in the call. Miss Universe, LLP v. Monnin, supra. This continued until on November 2, 2012, when all of the parties – including Monnin and her attorney – were contacted and told the arbitration hearing would take place on November 5, 2012. Miss Universe, LLP v. Monnin, supra. Her lawyer then sent a civil complaint to Trump and MUO, informing that unless MUO “withdrew the arbitration”, he would file the complaint in a federal district court, which would have initiated a federal civil suit against them. Miss Universe, LLP v. Monnin, supra. Neither Monnin nor her lawyer appeared at the arbitration hearing. Miss Universe, LLP v. Monnin, supra. Miss Universe, LLP v. Monnin, supra. The same day, Monnin received “correspondence” from her lawyer which said the arbitration had gone ahead “`without anyone present on your behalf’” and that since he was “`not licensed to practice law’” in New York, he could not “`give you advice on this arbitration matter.’” Miss Universe, LLP v. Monnin, supra. the record establishes that Monnin received ample notice -- both actual and constructive through her counsel -- of the Arbitration proceedings. The onus was on her to inquire as to the status of those proceedings when she had heard nothing from her counsel [or] MUO . . . for several months. Moreover, Monnin's apparent objections to arbitrability could have been preserved despite her participation. Thus, the Arbitration was not fundamentally unfair. Miss Universe, LLP v. Monnin, supra. He therefore confirmed the entry of the arbitration award against Monnin. Miss Universe, LLP v. Monnin, supra.